An often quoted definition of faith is to “Let Go and Let God.” That is to say, let go of your fears and your worries and have the faith to let God take care of you. It has a nice ring to it, but I was never completely sold on it myself. 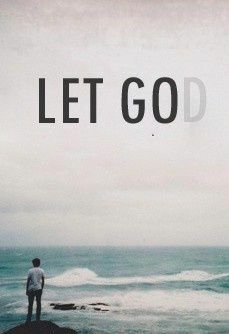 Let go and let God do what?— pay my bills, get the transmission fixed on my car, and mow my lawn when I don’t have time. I don’t think it will work to let go and let God do any of that. So let go and let God do what? That line certainly does not apply to everything. I still have to pay my bills, make an appointment to get the car fixed, and find time to mow my lawn. But those are the little things in life, and God has given me the strength and the ability to work through that sort of a to-do list all by myself. But there are other things, bigger things, that do not fit on any to-do list that we are able handle. Where do I go with my feelings of guilt? What do I do about my frustration with how fast the years are flying by? And what about the sadness of seeing loved ones dying all around me? I’ll never get around to fixing those things because I do not have the strength or the ability or the resources to do so. It is in these deeper, larger aspects of life that we must ‘Let go and Let God.’ Let go and let God carry you through, now and on into the life to come. That is indeed a wonderful image of what it is to live by faith. We need the faith to face all those big things in life, but we say, “What if none of this is true? I can’t see God, what if it is just us here on this little earth? I am so afraid of death.” So we desperately cling to this life, trying to have it all and do it all right here, right now, and we hate to see the time getting away on us. And God is saying, “just let go. Take my hand and let me lead you. Surrender your fears to faith in me, and really let go, you will be fine.” Let go and let God forgive you, let go and let God give you an inner peace even amidst all of life’s outward troubles. Yes indeed, live to the fullest every day that God gives you now, but be ready when the time comes to let go and trust God that he will make good on his promises for eternal life. Deuteronomy 31:8 — The Lord himself goes before you and will be with you; he will never leave you nor forsake you. Do not be afraid; do not be discouraged. Isaiah 46:4 — Even to your old age and gray hairs I am he, I am he who will sustain you. I have made you and I will carry you; I will sustain you and I will rescue you. This entry was tagged faith, trust. Bookmark the permalink.